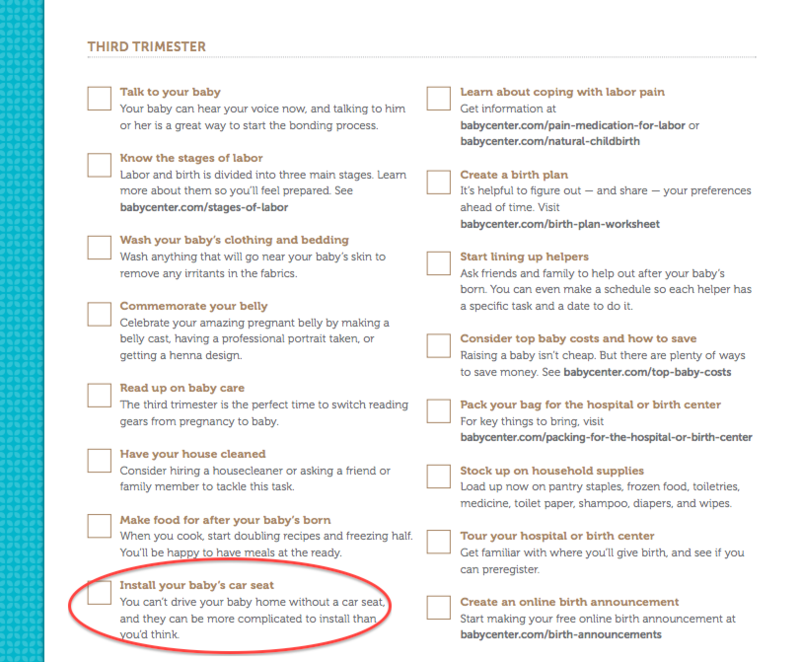 With baby number two, we haven’t really followed a checklist. But, as we get closer and closer we’ve found that there are a few things we really need to do. 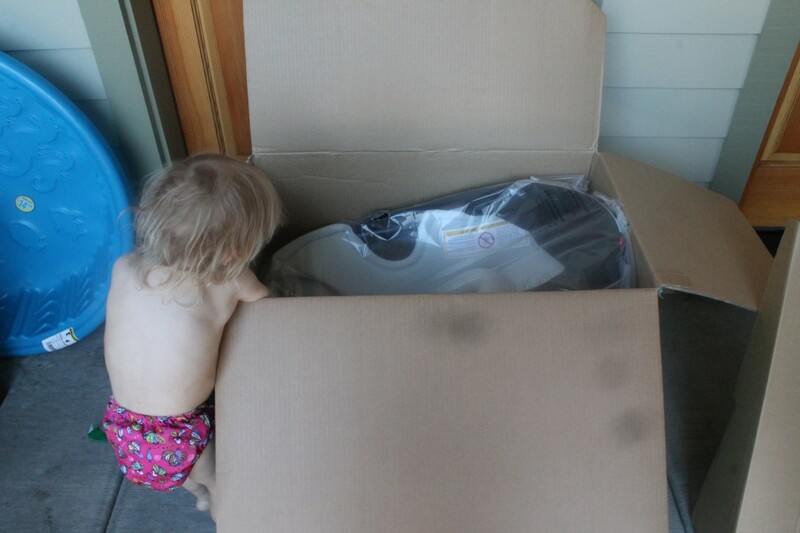 And, one of them was to get our infant carseat installed. I have to say that this was a surprisingly fun family affair. 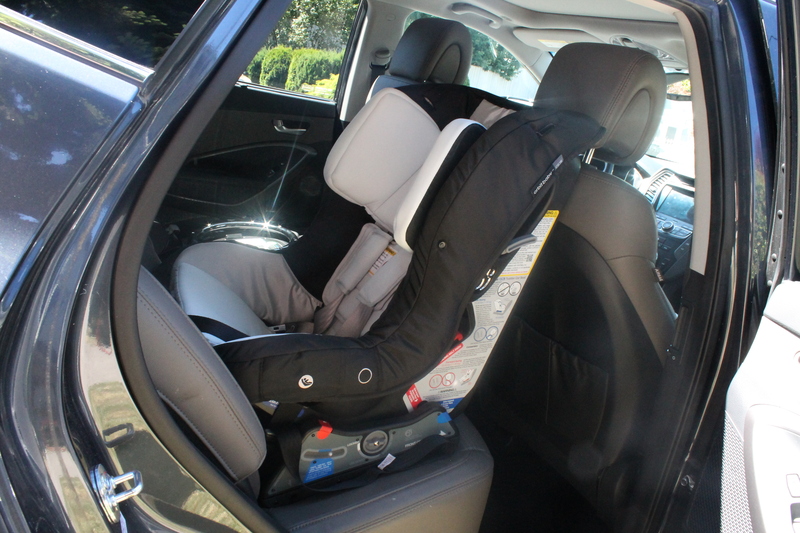 We spent a good part of the morning cleaning the car out (seriously I don’t think it’s been this clean since we purchased it last year) and then we finally got down to getting Edith and Baby #2’s new carseats installed. 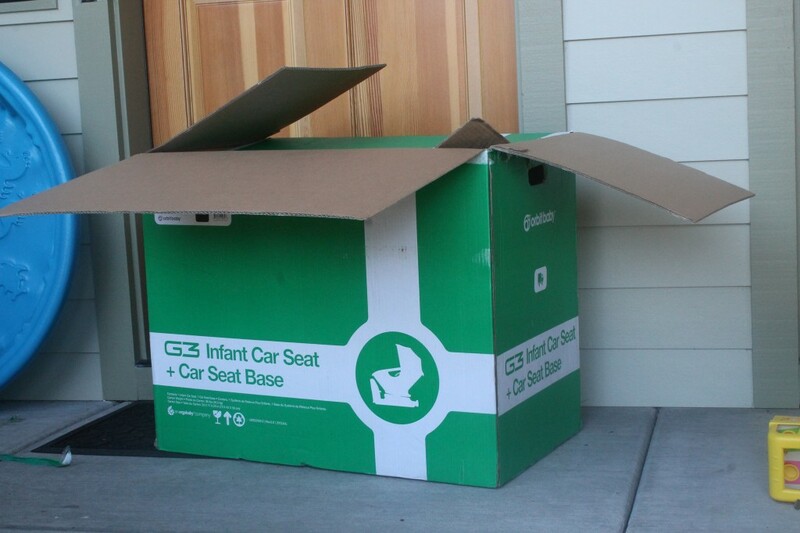 First we had to unpack them though and Edith gave the infant car seat a test run. I would like to note that Edith is just half an inch too tall for the infant carseat yet is well within the weight range at 22 pounds. Don’t worry though, she never made it into the car in it. 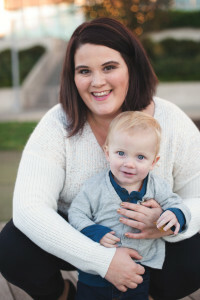 She was just making sure that it would be a comfy seat for Baby #2. While we waited for Neil to get the carseat base in, Edith decided to practice snapping in baby Barbara. Success! Neil got the base in and said tightening the LATCH connectors and leveling three base was made easy thanks to the StrongArm™ which allows for 60-second car seat installation (and it really does). 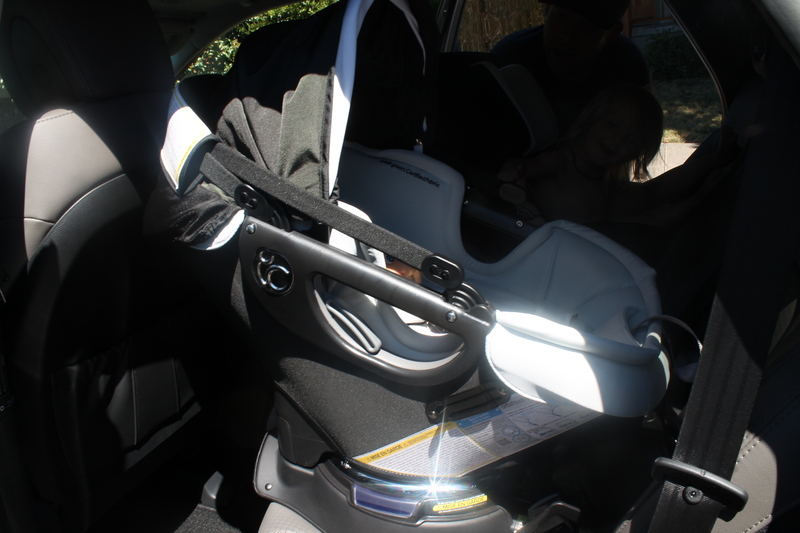 I will say that without the car seat base for the toddler seat, it was a little trickier figuring out the LATCH system and installing the toddler car seat. 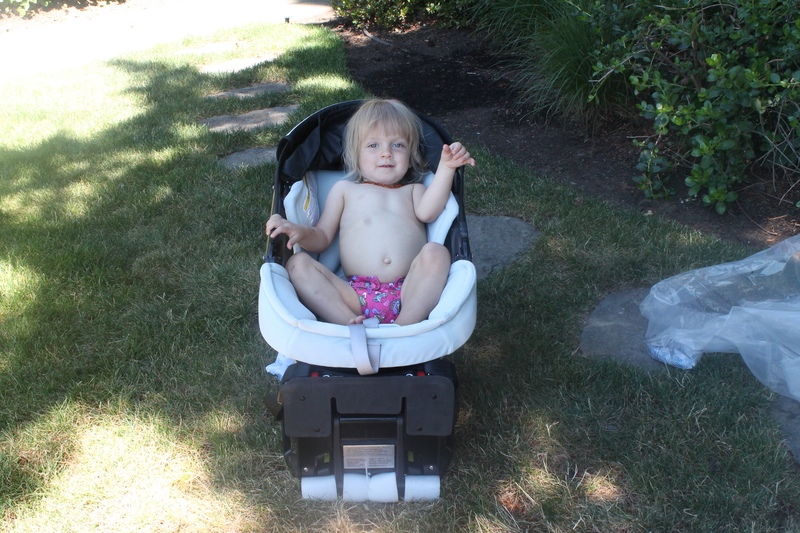 Honestly, not any more difficult than other toddler car seats we have used. 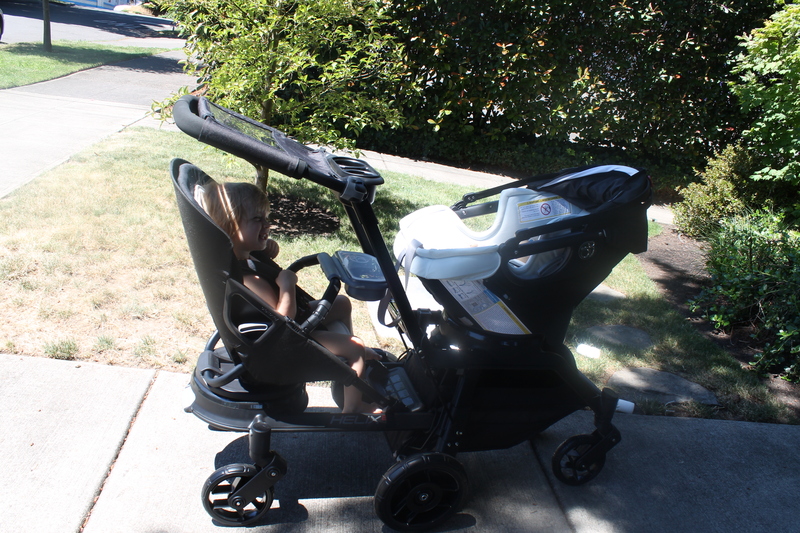 Once the car seats were installed, it was time to get the stroller system put together and give it a test run. 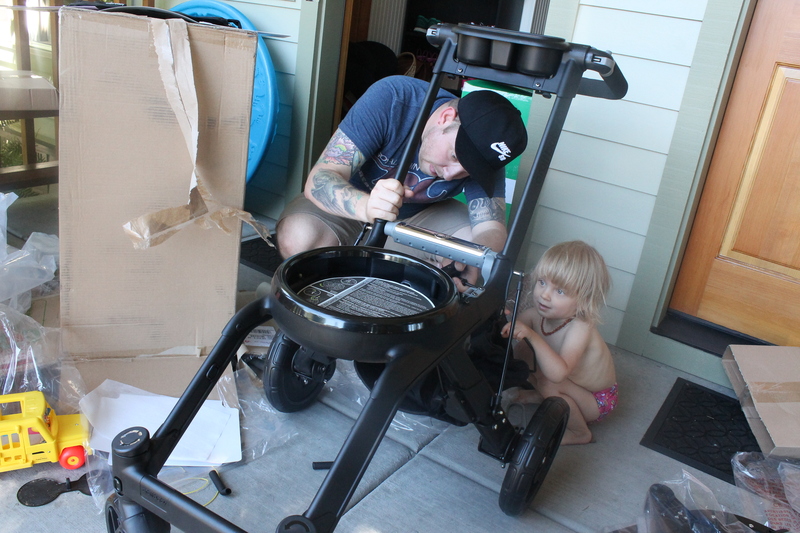 Edith loved helping Neil put the stroller together. 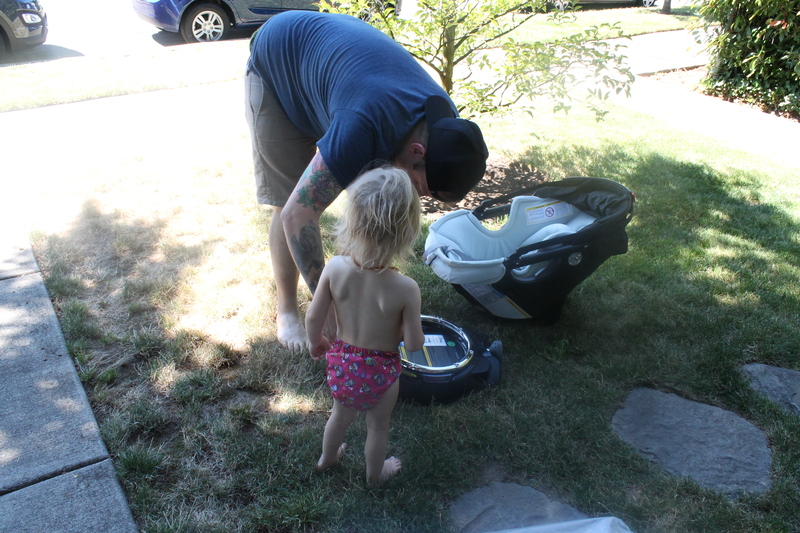 She was also a big fan of riding in the stroller. 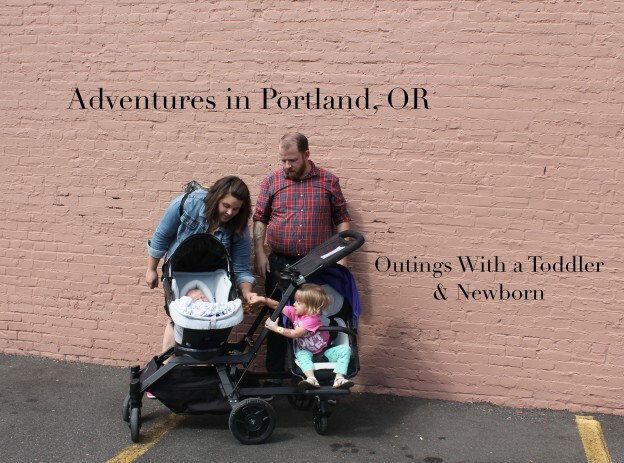 I have to say that this is a whole lot of stroller and it’s going to take some getting used to, but I am sure we will get used to it pretty quick. Now we are just waiting for baby #2 to make his/her arrival! I’m 37 weeks today so it really could be anytime now (or it could be 5 weeks from now) who knows! 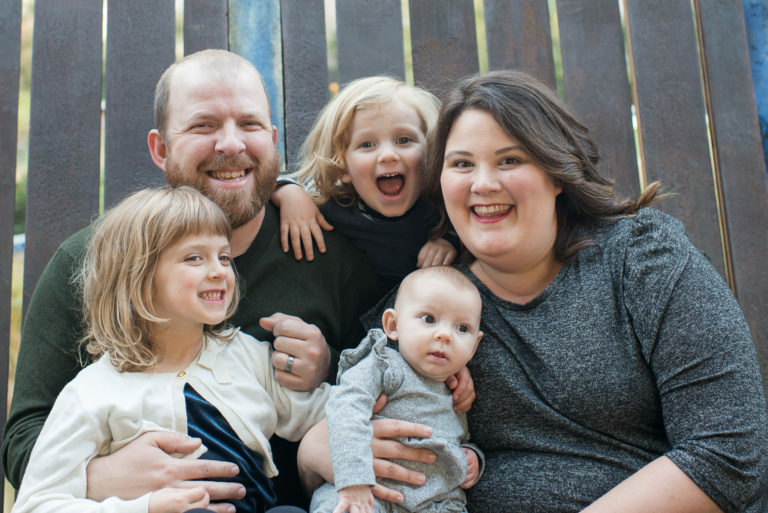 Disclaimer: This is a preliminary post to an Orbit Baby series that we will be featuring in the upcoming months. We were provided with our Orbit Baby products at no cost for our upcoming series. All opinions are our own.